So my last story was on how fabulous a salon ‘Beauty By EDGE‘ is and how I fell in love with their concept of helping the women struggling with hair loss and hair damage all over UAE. As you all know, after having babies our hair goes through different changes. And for me it was brittleness , dryness and dullness on the hair . I also lost a lot of shine from my hair. The team at beauty by edge decided to put me through a revive treatment that helped to bring back the shine, lustre that I lost and also reduced the dryness. This is called BIOLUSTRE treatment and it is an emergency repair rescue treatment. The technology in BIOLUSTRE is called as Lustreloc technology that allows the product to penetrate into hair shaft and bond to the inner cortex of the hair. By bonding so, it gives immense strength. I loved their team and most importantly I loved the two stylists who worked on my hair. While they worked on my hair, I had the chance to have a chat with them. 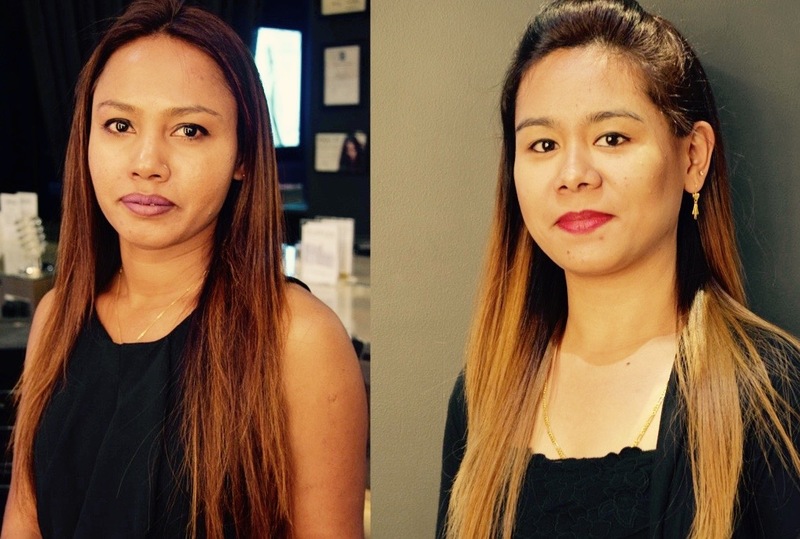 Below on the left is NISHANI( senior stylist) & right is DOLLY (stylist). NISHANI is from Colombo, Sri Lanka who has been a part of beauty by edge since the beginning and is the senior stylist as well. 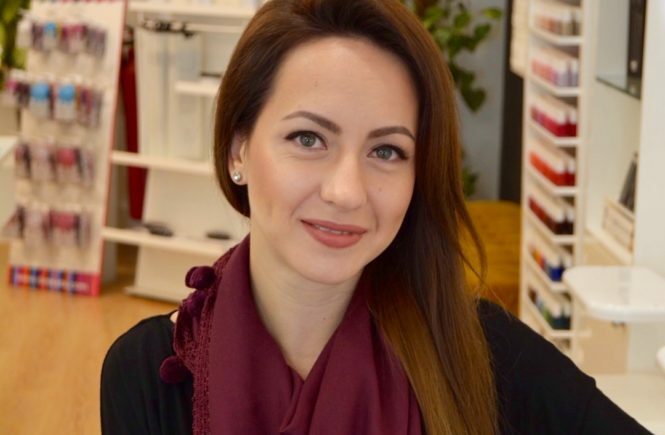 She has been a hairdressers over a decade and has worked in Dubai for some good years. 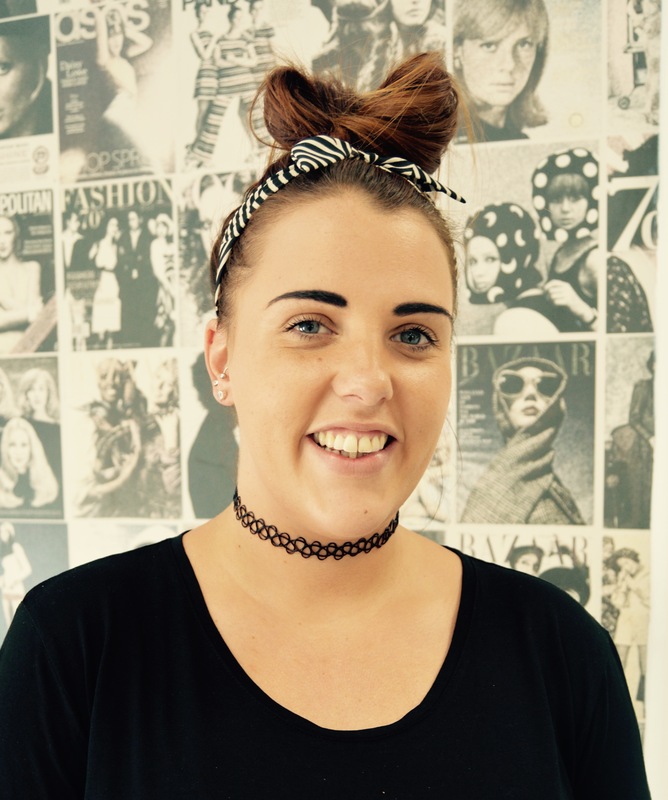 She expertises in treatments for hair loss and hair extensions. She advised that I try out the Biolustre treatment as I had quite dry & dull hair. 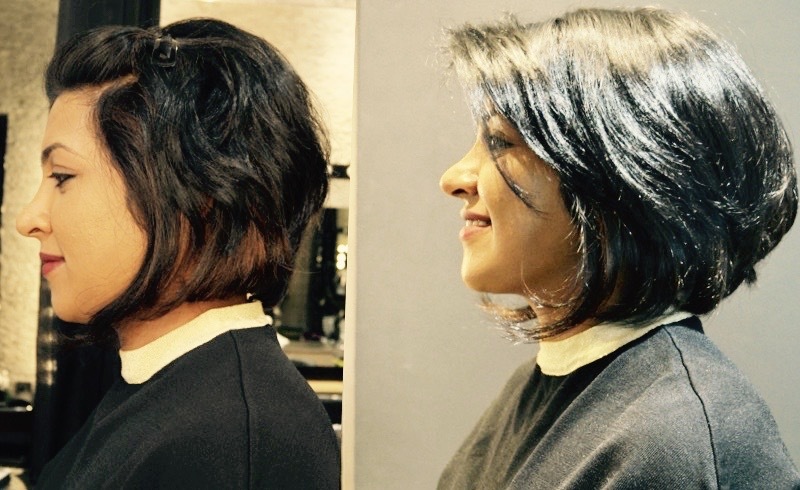 DOLLY is a stylist from India who specialises in hair extensions and styling. 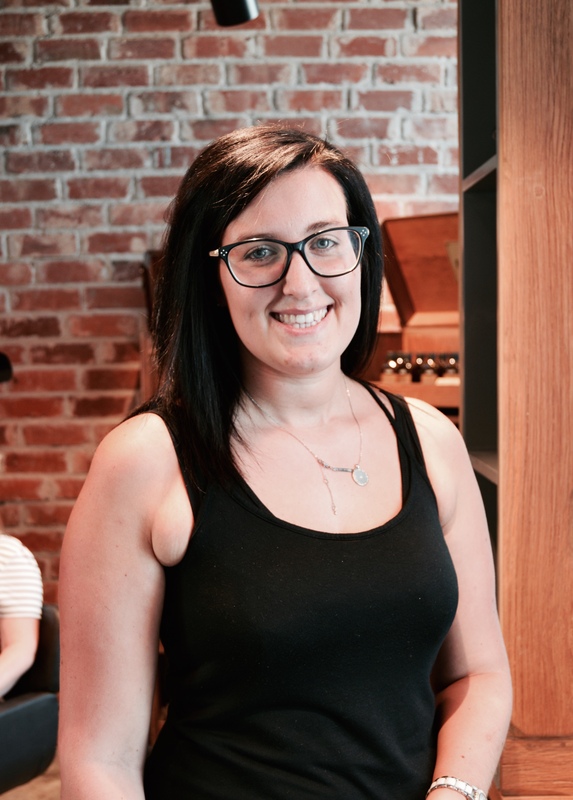 She has been in the industry for over a decade now and her experience of working on women who deals with hair loss issues is what brought her to EDGE SALON. Fixing tortured hair and styling is her expertise. Both these women worked their magic on me and I am so happy with the result. Check out the steps below. Shampoo the hair using BIOLUSTRE CLEANSING SHAMPOO. Use BIOLUSTRE REVIVE TREATMENT ( the main treatment ) all over the hair but on each strands so that they don’t knot and is spread evenly. Leave the treatment for drying upto 10 -15 minutes. Once dried, open each knots and strands. Wash and rinse using the BIOLUSTRE SHAMPOO AND CONDITIONER. Dry the hair and prep for styling. RESULT: SHINY SOFT SUPPLE VIRGIN LIKE HAIR. NOTE : If you are someone struggling with dry dull hair, then this is the perfect summer getaway. AND NO THIS IS NOT A KERATIN treatment. And no it doesn’t smell bad at all as there is no ammonia or formaldehyde present in it. Check out my day getting Biolustre Treatment done at Beauty by Edge. Please tell me where this salon is. I am also going thru a very bad phase of hair loss. Hope you are well. This salon is in Mercato Mall, Jumeirah. It’s called Beauty by Edge. They are very helpful with any issues to do with your hair.